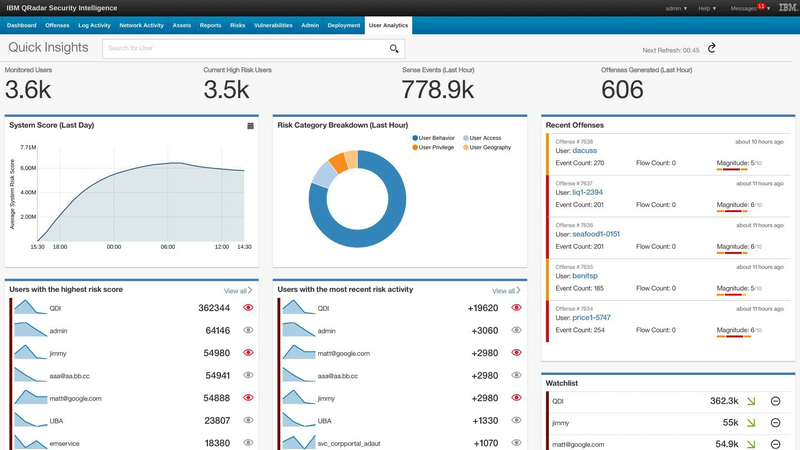 QRadar on Cloud is the quickest and most cost-effective method of delivering the industry-leading security analytics capabilities of IBM QRadar. QRadar on Cloud can rapidly scale to the needs of your business and enable your team to get up and running, collecting and investigating events in just days. Includes an intuitive reporting engine that does not require advanced database and report-writing skills. Provides the transparency, accountability and measurability to meet regulatory mandates and compliance reporting. Explore the IBM Security App Exchange and to find over 150 validated apps, including our premier apps QRadar User Behavior Analytics and IBM QRadar Advisor with Watson, to explore new use cases and extend your existing capabilities to help better defend your enterprise. When using IBM QRadar on Cloud, your company can scale and adapt quickly to changing business needs without compromising security, privacy or risk levels. Access to your data is strictly controlled and monitored in accordance with IBM’s internal privileged user monitoring and auditing programs. APT actors are well-trained, well-funded and highly motivated - operating low and slow to gradually gain persistence without setting off any alarms. IBM QRadar detects well‐orchestrated, stealthy attacks as they are occurring and immediately set off the alarms. By correlating current and historical security information, QRadar identifies indicators of APTs that would otherwise go unnoticed. Insider threats account for 60 percent of cyber attacks, and they are incredibly difficult to detect. 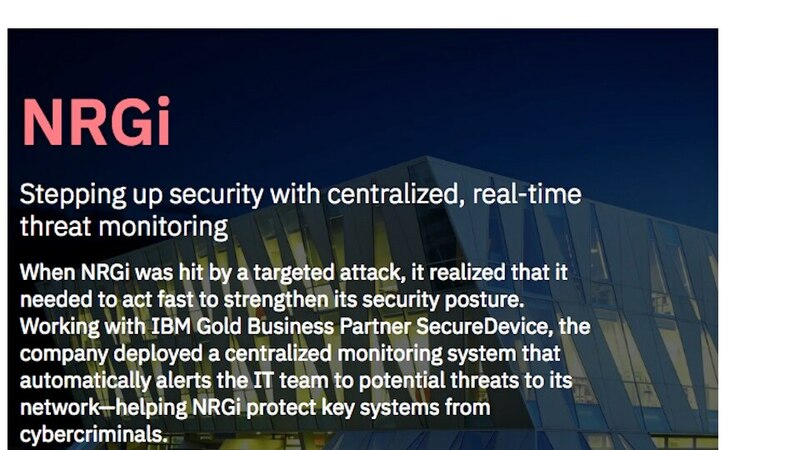 Using advanced analytics and machine learning algorithms, IBM QRadar can identify high-risk activities, prioritize the riskiest users, uncover compromised credentials and alert security teams to serious incidents. As cloud adoption grows, security teams often lack the baseline visibility needed to protect assets in these new environments. 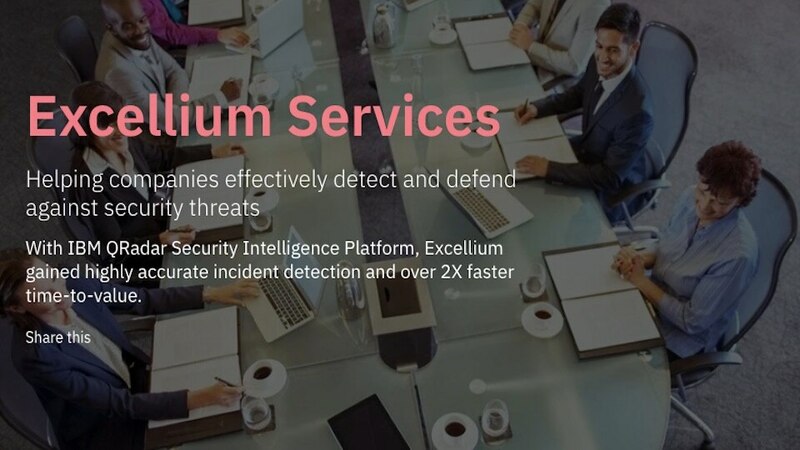 IBM QRadar extends visibility to cloud solutions and platforms by collecting, normalizing and analyzing events to detect threats through deep integrations with cloud services such as Amazon Web Services (AWS), Azure, SalesForce.com and Office 365. Analyzes user activity to detect insider threats. Inspects network traffic in real-time to expose hidden threats.